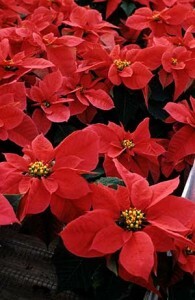 This highly specialized form of poinsettias can take much labor to produce and, thus, need a correspondingly high price to be economically viable. 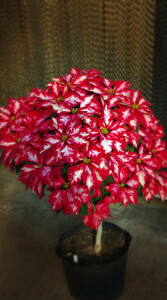 However, well-grown tree poinsettias are spectacular and eye catching for consumers. Choose cultivars that have strong stems and large bracts. For large size trees, be sure to use large pots to prevent tipping over. Tree form poinsettias need to be handled carefully during transport.